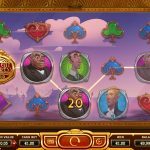 Agatha Christies’ fans will be happy to know that Yggdrasil was inspired by one of her popular titles and come up with Orient Express video slot game. The game will take you to 4 popular destinations starting in Paris, and then Venice, Belgrade and your trip ends in Istanbul. What makes this game so appealing is that you have to make progress from one city to another. As you start playing you will be in Paris, then you will continue your journey through Venice, then Belgrade and your final destination is Istanbul. There is an extra feature in each destination during the base game and the free spins. In Paris mode the conductor might appear and as he moves from right to the left he will award you one extra free spin. 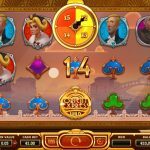 In Venice mode you will receive up to x5 multiplier in some wins during the base game and on all wins during the free spins. In Belgrade mode you will receive between 1 and 3 wild reels on some spins in the base game and on all spins in the free spins round. 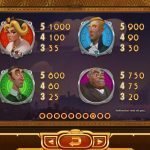 And Istanbul mode offers up to 12 reel positions turned wild on each spin in the free spins round and on some spins during the base game. After you have reached Istanbul mode you can choose whichever mode you want to play. Orient Express is one of those games that have lots to offer. This title comes from one of the softwares that are on the rise, Yggdrasil which always surprises us with every game it comes up with. We really had a nice session and for that reason we believe that you will enjoy Orient Express the same way we did, so you should give it a try. For another great engaging slot you should consider playing Nirvana a 5 reel slot by Yggdrasil.